Ph.D. student Nisha Pillay, provided valuable insight into how PARG inhibitors work. She said: "Before a cell divides, it must replicate its DNA. This critical process ensures the necessary amount of DNA is passed on to its daughter cells. Our research has shown that an inherent defect in the ability of an ovarian cancer cell to replicate its DNA can be exploited by the PARG inhibitor to kill the cancer cell." 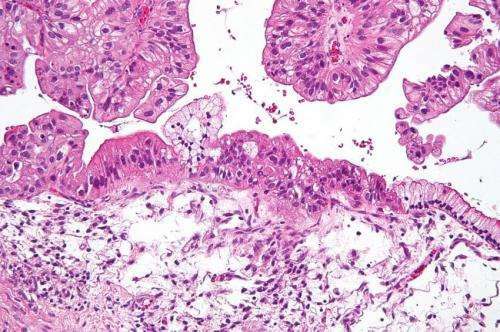 "This new class of drugs is potentially very exciting and could signal a new way to help patients diagnosed with ovarian cancer in which their tumour has not responded to standard treatments."